Shopping for a home without being pre-qualified is like shopping in the dark. You can’t see the full picture. Getting pre-qualified helps you clearly see what’s in front of you so you can make an informed decision. You wouldn’t take a house tour with your eyes closed, would you? You shouldn’t start the home purchasing process that way, either. Start your mortgage pre-qualification process with Mortgage One’s “Mortgage in a SNAP” app. Get started now! Why should you get pre-qualified for a mortgage when home shopping? The reasons are many. It is a stamp of approval. A mortgage pre-qualification is something you get from a mortgage lender. Pre-qualification says you are approved for a mortgage. It provides the seller with piece of mind that you are a serious buyer. It identifies hurdles. Getting pre-qualified helps you identify any obstacles to approval, such as having too much debt or a low credit score. It provides peace of mind. Knowing how much you can afford to spend on a new house, and knowing that you are pre-approved for that amount, eliminates uncertainties and allows you to focus your attention on home and neighborhoods you can afford. In most cases, getting pre-qualified does not include the extensive documentation that pre-approval does. Pre-qualifying is just the first step in the process. To get pre-qualified, you can self-report your income, assets and other financial data. Pre-qualification is considered a “soft inquiry” on your credit report, so it doesn’t negatively affect your score. Pre-approval is the second step. It is a conditional commitment to actually grant you a mortgage. Pre-approval is when you provide official documentation and paperwork. Pre-approval is a “hard inquiry” on your credit report. What if you run into problems during the pre-qualification/pre-qualification process? Here are some recommendations from the CFPB. If you were preapproved for more than the home price budget you set for yourself, you can use the preapproval letter to shop for homes without changing your target home price. If you’re happy with the amount you planned to spend, stick with your original budget. If you were preapproved for less than you were planning to spend on a home, talk with the lender. Ask if there was a particular factor (for example, your income) that limited the preapproval amount. You may need to adjust your home price expectations. Be upfront with your real estate agent. If you don’t want to see homes above a certain price, say so. Limiting your search is a good way to avoid falling in love with a home that costs more than you want to spend. 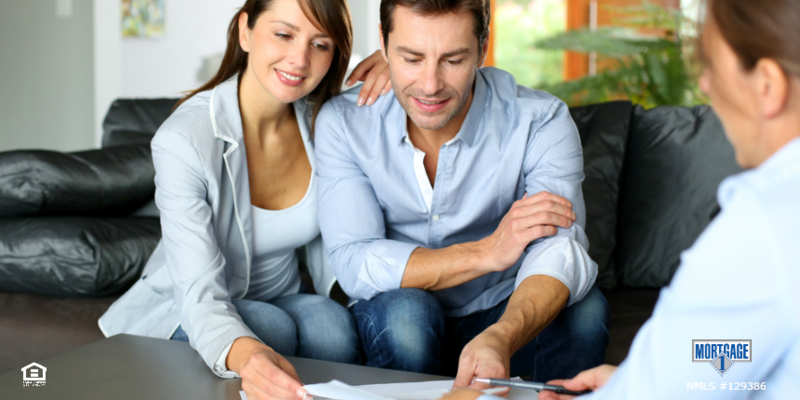 At Mortgage 1, we help home buyers get pre-qualified every day. Let us help you. Call (866) 532-0550 or use our Mortgage in a SNAP application today.